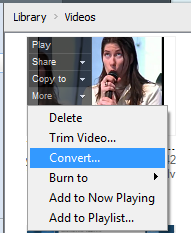 Why can't I convert the video file I just downloaded? 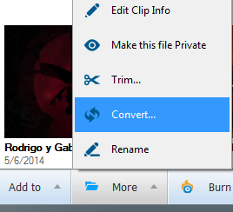 RealTimes is not able to convert files with a resolution greater than 1920x1080. If you're trying to convert a high-definition video, you will need to download the standard-definition version. Typically, websites will display the standard version by default, so do not click on the option to view the video with its original settings. Websites like YouTube and Vimeo also have a Settings option that lets you select a different resolution when watching the video. Please read this article for a solution. Please read this article for troubleshooting tips. If you are getting a popup that signs you out of RealPlayer Plus, click here for more information. If these solutions don't address your problem, you may need to delete the file and re-download it from the original website.